The City of Albuquerque Parks and Recreation Department today announced the dates for spring swim lessons. Beginning Saturday, December 1, families can register for lessons online or at one of the City’s five indoor pools. Spring swim lessons are offered at West Mesa Aquatic Center, Sandia Pool, Highland Pool, Los Altos Pool, and Valley Pool. The cost for each session is $35. 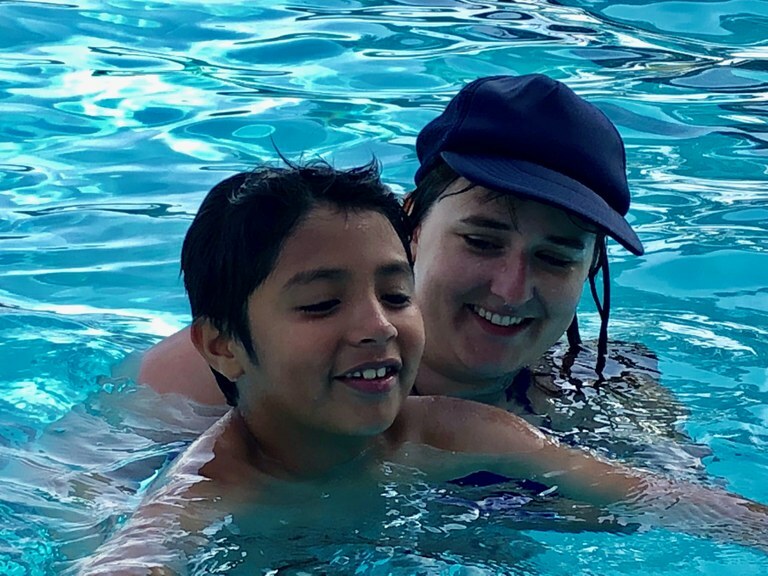 Online registration begins December 1, 2018 for all pools except Los Altos, where registration will begin February 1, 2019. Sign up for a household (or sign in if you have an account). Find the lesson that you are interested in. Bring your receipt to the first day of lessons. *If you need to register in person, please visit one of our indoor pools, where our staff can help walk you through the online registration process. 5:15 p.m. – 5:55 p.m.
6:15 p.m. – 6:50 p.m.
5:00 p.m. – 5:40 p.m.